I noticed this today, since I have updated Resharper to v6.1. In the past you could specify a single file for code style sharing. You are now presented with the following message. From what it looks like, you can have your personal code settings, and then team settings and set the order of priorities. 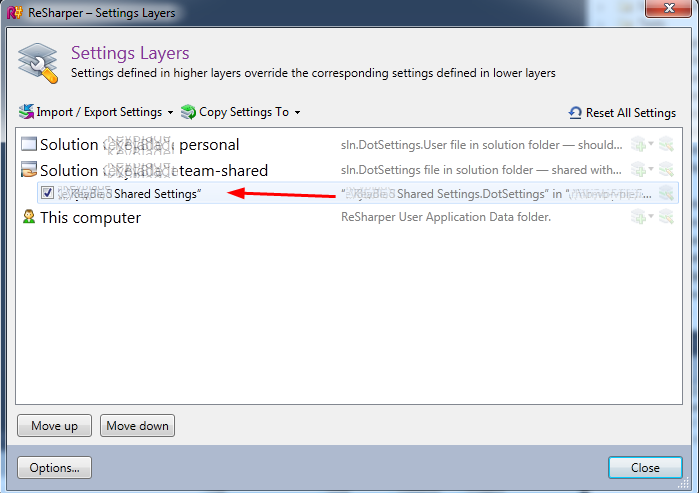 Comments on this post: New Resharper Code Style Sharing in v6.1 Features.